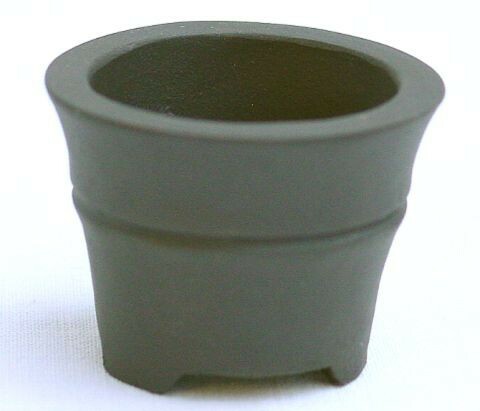 Bonsai pot (unglaced, dark brown, round) with a size of: 4cm length, 4cm width, 3.1cm height. Quality: High quality handmade bonsai pot. Production method: The body of this handmade bonsai pot was created with the help of a plaster mould. Than the raw body was smoothed acurately by hand. During drying it was corrected several times. Than it was burned in a gas kiln at a temperature of about 1230°C.